You might have wondered, “Who should I go to for treatment of my whiplash injuries?” You have many choices available in healthcare ranging from drug-related approaches such as narcotic medications to natural forms of treatment such as chiropractic, physical therapy, exercise, and meditation with many others in between. Trying to figure out which approach or perhaps combined approaches would best serve the needs of the presenting patient is truly challenging. 3) Group 3: Patients that reported severe neck pain but had normal neck ROM and no neurological losses. The average time from injury to first treatment was 12 months and an average of 19 treatments over a 4-month time frame was utilized. The patients were graded on a 4-point scale that described their symptoms before and after treatment. Grade D patients were disabled. This study is very important as it illustrates how effective chiropractic and physical therapy is for patients that have sustained a car crash with a resulting whiplash injury. It’s important to note that the type of patient presentation that responded best to care were those with neurological complaints and associated abnormal neck range of motion. This differs from other non-chiropractic / non-physical therapy studies where it is reported that patients with neurological dysfunction responded poorly when compared to a group similar to the Group A patient here (neck/shoulder pain, reduced neck ROM, and with normal neurological function). We are available to serve you as soon as today with multiple clinic locations throughout the Metro Atlanta area. 2. Woodward MN, Cook JCH, Gargan MF, Bannister GC. 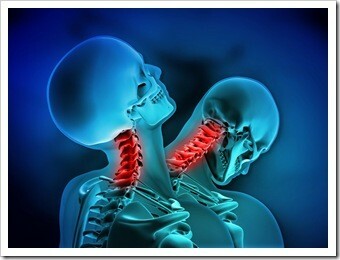 Chiropractic treatment of chronic whiplash injuries. Injury 1996;27: 643-645.